This entry was posted on 4 settembre 2015 at 09:40. You can follow any responses to this entry through the RSS 2.0 feed. Responses are currently closed, but you can trackback from your own site. 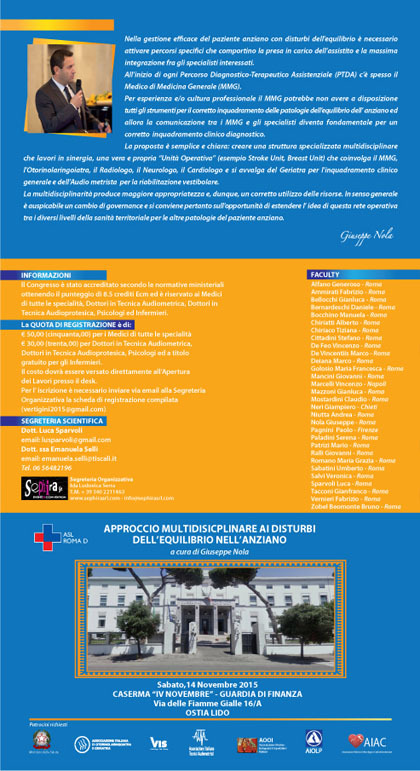 1 Response to "Approccio multidisciplinare ai disturbi dell’equilibrio nell’anziano – 14 Novembre 2015 Ostia Lido (RM)"